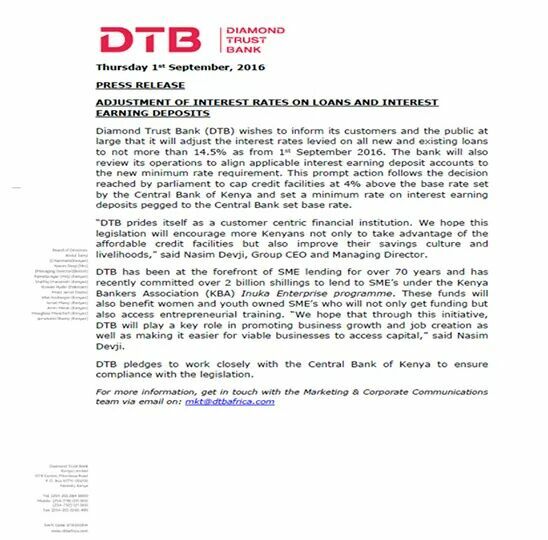 Diamond Trust Bank (DTB) Kenya has capped interest rate on new and existing loans at 14.5 percent in an effort to comply with the new banking law. 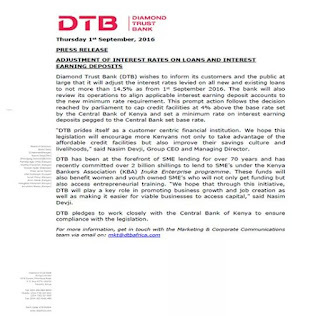 Communicating the good message through a press release to the lender's banking products consumers and the general public,DTB Group CEO,Nasim Devji, said that the lowered rate will take effect starting on 1st September, 2016.Another positive change will be on the interest earned by customers saving money with the bank. 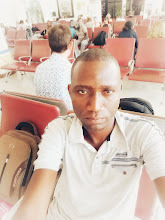 Concerning, the planned KBA's 'Inuka Enterprise Initiative',Nasim said DTB will commit kes2billion to the same.Inuka Programme is a kes30billion initiative by the Kenya Bankers Association (KBA) that is aiming at providing low interest loans (at 14.5%pa) to youths and women running SMEs in Kenya.